KABUL -- The UN Security Council has lifted sanctions on Afghan warlord and Hizb-e-Islami (HI) leader Gulbuddin Hekmatyar, previously branded "a global terrorist" and accused of war crimes. The move follows a peace deal between HI and the Afghan government in September that granted Hekmatyar legal immunity from past offences. The agreement sparked outrage from rights groups and praise from many Kabul's international allies who view the landmark accord as a step towards peace in Afghanistan . An assets freeze, travel ban and arms embargo targeting Hekmatyar no longer apply, according to a statement posted by the UN Friday (February 3). The move theoretically opens the way for Hekmatyar's return to Kabul after two decades of exile in Iran and then in Pakistan. His present whereabouts are unknown. "It is an important point of the peace agreement between Hezb-e-Islami and the Afghan government," said Mohammad Karim Amin, chief negotiator for Hekmatyar. "It shows the commitment from the government and from Hezb-e-Islami to pursue this peace track," he told AFP. It will also "open the door" to accelerate the peace process and sends a "strong signal to other fighters" in Afghanistan , he said in reference to the Taliban. The decision shows that "the only key to achieve a peaceful solution to the conflict is through an inter-Afghan negotiation without any foreign interference", he said. Post-sanctions, government officials expect Hekmatyar to return to Kabul. "We always said [Hekmatyar's] return won't be linked to the removal of sanctions, but obviously it will widely ease it," Karim said. Hekmatyar was a prominent anti-Soviet commander in the 1980s and a major figure during the civil war of the 1990s, when HI was accused of indiscriminately firing rockets into Kabul, as well as other human rights abuses. HI's last major attack was a car bombing in Kabul in May 2013 that killed six American military advisers and nine Afghan civilians. In September 2012, an HI suicide bomber, an 18-year-old woman, killed 14 people aboard a Kabul mini-bus. HI has been trying to repair Hekmatyar's public image. Hekmatyar also has sought to project himself as a "peacemaker" between the Afghan government and the Taliban. In September he urged the Taliban to seek reconciliation. Afghan politicians and others welcomed the UN's decision. "The lifting of sanctions from Hekmatyar will help in the on-going peace process in Afghanistan," Abdul Rashid Ayoubi, head of the Adalat political party, told Salaam Times. "This will bring hope and will establish trust between the insurgents and the government," he said, adding that the move will bring some stability. "We are happy that the international community is helping Afghanistan and promoting peace in the country," he said. The government is committed to the on-going peace process and peace talks with all insurgent groups, Afghan Senate Chairman Fazal Hadi Muslimyar said in a statement received by Salaam Times. The lifting of sanctions from Hekmatyar is the first step in proving that commitment, he said. 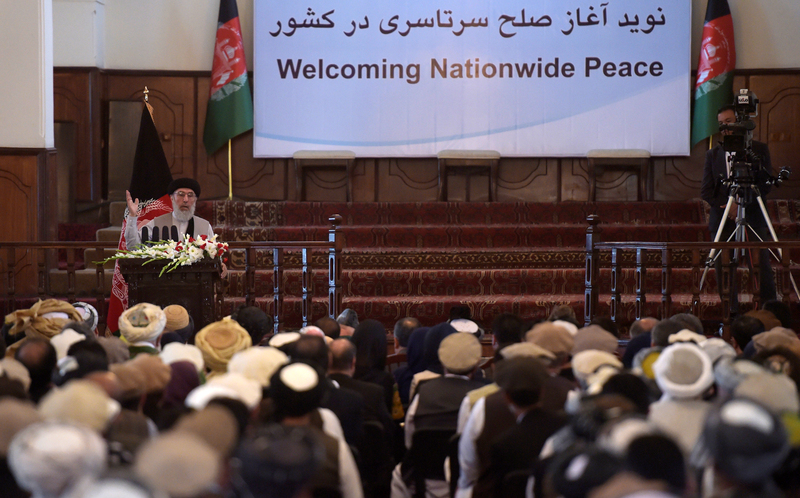 Hekmatyar's involvement in the peace process will help bring peace to Afghanistan, he said. Sultan Aziz, 25, a Kabul University student, agreed. "Certainly it will encourage more insurgents to surrender and join the peace talks," he told Salaam Times. Izazullah from Kabul contributed to this report. Joining the government's peace process is the only way out, say the Afghanistan High Peace Council and former fighters.